The Ulster Youth Orchestra held its inaugural course in the summer of 1994 and since then has welcomed hundreds of immensely talented young musicians through its doors. Here are just a few members of our alumni, who have chosen music as a career, looking back on their experiences of UYO. If you are UYO alumni we would love to hear from you. 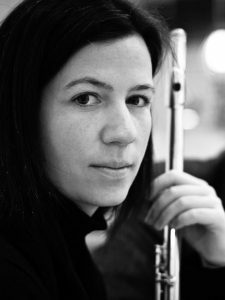 “I was a member of the Ulster Youth Orchestra from 2000 – 2003. The tuition and advice that I received by the extraordinary tutors was invaluable in the shaping of my studies and career. The entrance procedure was my first experience of competitive audition – something you need to get used to as quickly as you can if you want to pursue a career in music – so right from the off, UYO provided me with experience that was not just relevant to a teenager, but had long-term relevance to my chosen career. My school orchestra did not have the numbers to perform large-scale orchestral works, and so Ulster Youth Orchestra was my first opportunity to study and perform symphonic works. I learnt not just how to play symphonically, but what was expected of a musician in terms of preparation and how one conducted oneself professionally. Careers are made and broken on reputation, so understanding how to behave is crucial training. In a country in which the majority of education remains segregated along religious lines, the social aspect of the Ulster Youth Orchestra is perhaps even more pertinent than that of any other Youth Orchestra in the United Kingdom and Ireland. I believe the Ulster Youth Orchestra is the greatest example of the dual social and musical benefits of instrumental tuition. 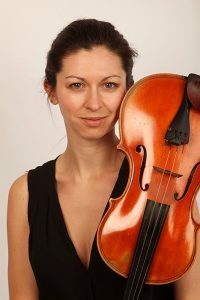 Since completing my studies in 2007 (Royal Northern College of Music, Conservatorium van Amsterdam), I have been privileged to pursue a varied career as a chamber and orchestral musician, performing with many of the UK’s top orchestras, and I have additionally performed in chamber venues such as the Wigmore Hall, the Forge Camden, and the Concertgebouw Kleinezaal. Since 2009 have been a member of the viola section of the BBC National Orchestra of Wales. The lessons I learnt from my time in UYO were the foundation of my professional life. Across the British isles there are few ensembles that do not have an alumnus of the UYO within its ranks. This perhaps is the greatest testimony there can be to its relevance and importance. “The Ulster Youth Orchestra holds so many great memories for me! I was a member for about 5 or 6 years and really enjoyed being a part of it. We really had so many great opportunities, from playing in great venues to studying with great teachers who trained us and of course working with the fantastic conductors. The repertoire we learnt in the orchestra was so varied and they had a great scheme were local contemporary composers were commissioned to write for the orchestra and I remember one particular piece by Elaine Agnew which was a really cool, unusual piece so this was a great introduction to contemporary music for me! The first year I joined we played Scheherazade by Rimsky Korsakov and to this day it is still my favourite orchestral piece. And another great moment was getting to play Hindemith Symphonic Metamorphosis, which had a flute solo while the orchestra stops playing, I remember being absolutely terrified at the time but afterwards I really felt I had achieved something and learnt so much from the experience. One particularly unusual experience for me was being in the orchestra when pianist Barry Douglas was the soloist and I was a little teenager in the orchestra. Barry is now a colleague who I perform regularly with and have recorded on two albums with him so it’s funny how my musical journey with him actually started in the UYO! “Playing in the UYO was great fun, you can’t beat learning amazing music and making new friends. But it was also very important for my development as a player and a person. I went on the course in 1998 (at the Diamond Hall, Coleraine) and was hugely inspired by all the musicians around me. I still remember the wonderful advice I got from tutors (John Orford telling me how to ‘ignore’ conductors in order to play the piccolo fearlessly!) and from more experienced players, encouraging me to have the confidence to pursue music as a career which I dearly wanted to do. It was an important time in NI as well, when we were on the course the Omagh bombing happened and in a mark of respect we dedicated our concerts to all those affected. I guess it was a small gesture in the context of what was happening but it strikes me as being appropriate that a collection of Northern Ireland’s talented youth were gathered in such a positive, creative and optimistic way and that they continue to be. All that binds people is a talent and passion for music and the UYO helps to nurture both.